Renovated 4 Bedroom Home in Treasure Island! Updates Include: New Windows, Roof, Counter Tops, Carpet, Vinyl, Plumbing, Vanity, Toilet, Tub, Paint and Fixtures! Open Floor Plan! Huge Eat-in Kitchen! Fenced Corner Lot! Flat Backyard! Tons of Square Footage! Remodeled and Ready to Go! Perfect Home for Low Maintenance! Great Buy!!! 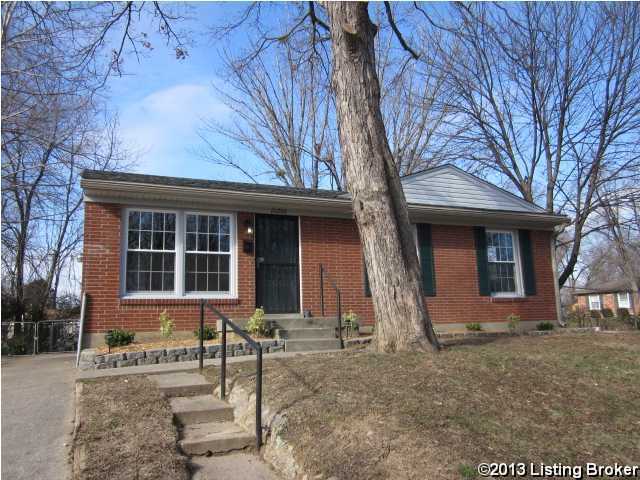 10200 Caven Ave, Louisville KY 40229 is a Home, with 4 bedrooms which is recently sold, it has 1,339 sqft, < 1/4 ACRE sized lot, and Driveway parking. A comparable Other, has bedrooms and 0 baths, it was built in and is located at and for sale by its owner at $ 0. This home is located in the city of , in zip code , this County Other, it is in the Subdivision, and HERITAGE CREEK are nearby neighborhoods.